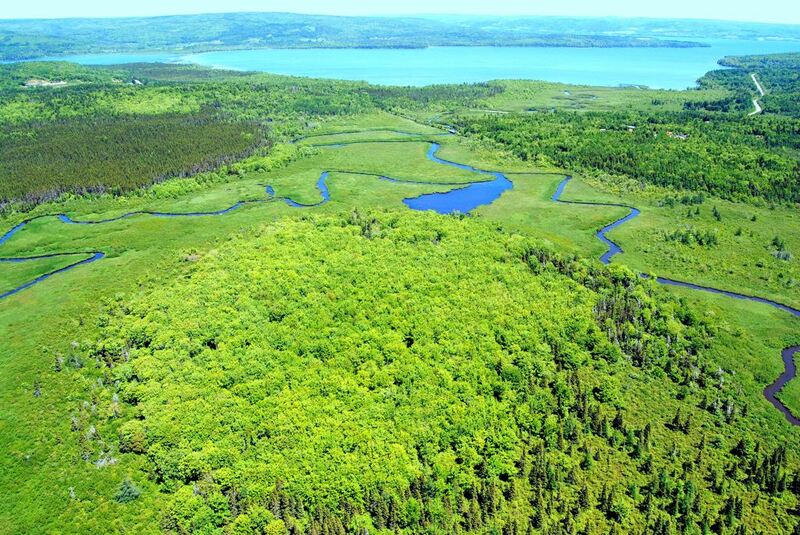 Black River Bog Nature Reserve includes a rare alkaline fen and delta wetland adjacent to Lake Ainslie, Inverness County. This wetland complex contains at least 13 species of rare plants. The general area is an important breeding and staging area for ducks, and a popular feeding area for bald eagles, ospreys and great blue herons. 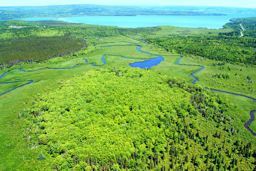 The bog was first proposed as a nature reserve through the International Biological Program in 1974. Adjacent waterways support a variety of water-based recreation including canoeing, kayaking, duck hunting, fishing and trapping. A multi-use trail on an abandoned railway corridor through the site has been excluded from protection. The trail provides a unique nature viewing opportunity for off-highway vehicle users, cyclists, and walkers.